AN AMBIENT soundscape, full of echoing, ghostly drones, underpinned by four gently shifting, rising, falling notes, looms into the ears, before the voice of Bell X-1's Paul Noonan intones, "And the words rain down like confetti..."
As the song progresses, it is punctuated by stately, solemn, piano chords, as throughout, Noonan invokes Jesus and declares "I take heart in your love...such as it may be", before it drifts into silence, it's beauty and depth lingering long afterwards in the mind. This is 'Take The Wheel', the opening track of what is the new double A-side single from Galway based composer, producer, DJ, and fiddle player Daithí. Its sister song, 'In My Darkest Moments', featuring singer The Sei (Stace Gill ), is an impressive piece of electronica, but 'Take The Wheel' is the show stopper, Daithí's most unexpected, and perhaps also his finest, song to date. 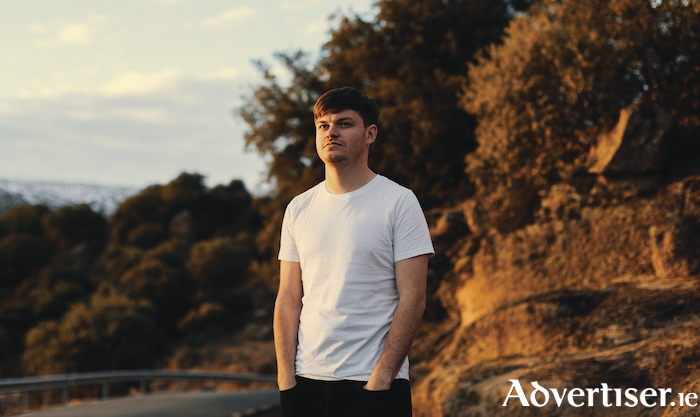 Daithí's music has been characterised by his combination of dance, electronica, indie, and Irish trad, a fusion which creates something modern and forward looking, yet is also rooted in the Gaelic tradition. 'Take The Wheel' however, takes a major step into an emotional and ruminative domain that owes much to Nick Cave, particularly the Australian's most recent albums - Push The Sky Away and Skeleton Tree. The single was recorded in rural France, following the end of a relationship. “This project scared me, but I'm also more proud of it than anything I've ever done," Daithí said. "I became interested in the idea of how people deal with loss, and the different ways they recover from it. I was at my lowest point, feeling like nothing would ever be okay again, and found myself writing all sorts of melodies and chords as a form of therapy, but couldn’t imagine getting to a place where I felt comfortable making songs out of them. " The single, entitled L.O.S.S, features four tracks - 'Take The Wheel' (original version and Kobina remix ) and 'In My Darkest Moments' (full and edited versions ). It is available via all streaming platforms.